In 2019, interesting products will also be ready for the market and hopefully will be on the market soon! Especially on our social media channels Facebook and Instagram we regularly show you exciting new developments and prototypes that generate a lot of anticipation. Whether at the Baumpflegetagen in Augsburg, at the TCI EXPO in the USA or during discussions on site, the manufacturers regularly present us with new products that only come onto the market later. Many of the announcements arouse desire and require patience until you can finally order them. With some products we can hardly wait to finally hold them in our hands and use them ourselves in the tree. Therefore we have summarized for you which novelties you can look forward to in 2019 and what you unfortunately have to wait longer for. 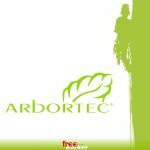 What’s new for arborists in 2019? We are also used to the fact that it regularly takes longer than initially announced. Therefore, all dates and the expected price are without guarantee. As soon as the products are available in our Online-Shop, we will inform you immediately on our social media channels. So the best thing to do is subscribe to our channels and don’t miss any news! Information: The new ZigZag comes on the market with and without a movable swivels (ZigZagPlus). Together with the Chicane, the ZigZag will also make single rope technology possible in the future. Sales start: 06 March 2019 | Order now! Information: The Chicane fits on the new ZigZag and the new ZigZagPlus with movable swivel. According to manufacturer, all variants are certified with the ZigZag. 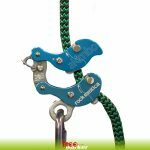 Information: The Pulley is a further development of the Hitch Climber and is ideally suited for friction hitch systems and rigging applications. 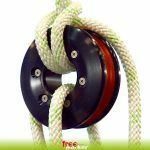 The Rigger Becket Pulley has an additional eyelet at the bottom. Price: 75 € incl. VAT / 100 € incl. VAT / Pre-order now! 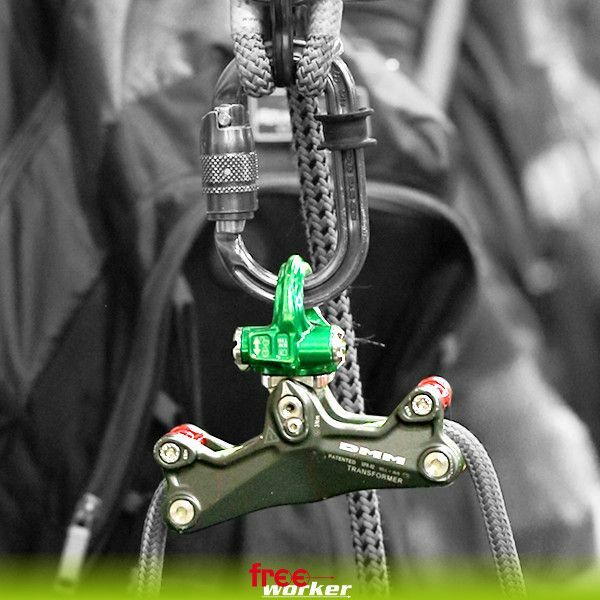 Information: Further development of the proven Hitch Climber. 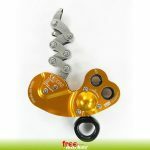 It pushes the friction hitch upwards earlier and the rope guide has also been improved suitable for friction hitch systems on moving and stationary rope. 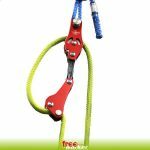 Information: The Offya is a tyrolean system with redirection device and is designed for various rigging tasks – even with high loads. In addition to the system itself, much more material is required. Information: The next generation of climping spurs. 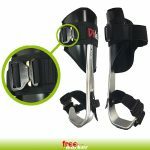 The popular Distel climbing spurs with practical Cobra buckle from AustriAlpin instead of Velcro straps. 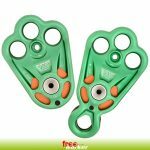 Information: Petzl launches an improved version of the tree climbing harness Sequoia and Sequia SRT. 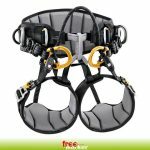 The harnesses have some interesting new features: improved back cushions, new buckles & eyelets. Sales start: February 12th, 2019 | Order now! 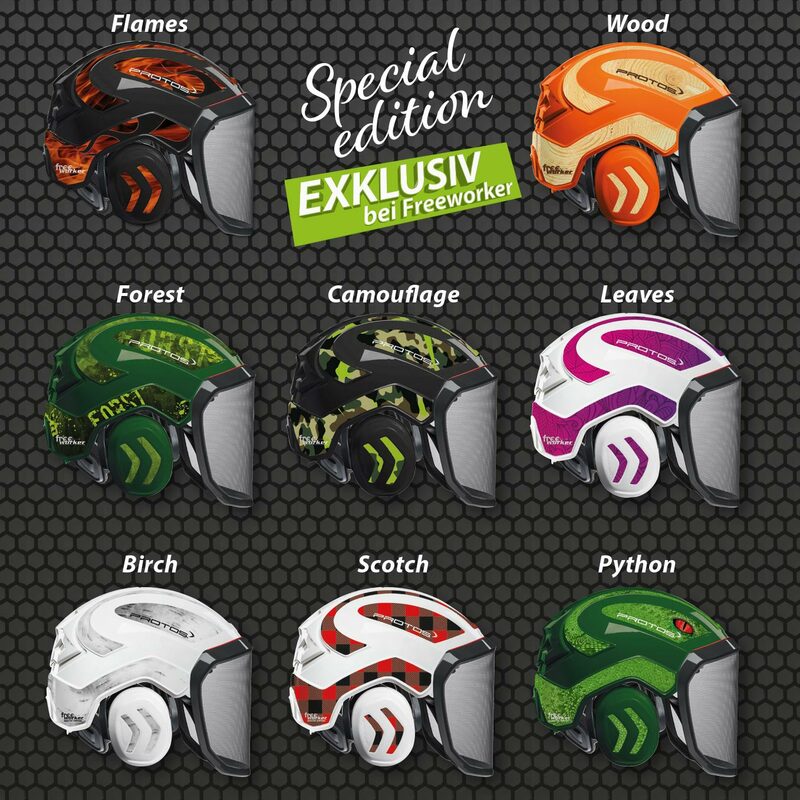 Information: A new generation of chainsaw protection trousers with interchangeable external view. There will be three categories of inner cut protection layers and over trousers as rain trousers, work trousers, light summer trousers on the market. Information: Practical ultralight headband with Protos® Integral hearing protection capsules that should not attempt pressure points. 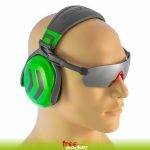 Can be combined with BT-COM and safety glasses. Space-saving storage. 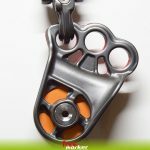 Information: The Akimbo is a rope safety device that can be adapted to different rope diameters. Unfortunately, there is no CE certification and the Akimbo cannot currently be imported into Europe. Information: The Rig N’ Wrench makes it easier to drop loads from the crown or from the ground. The device with a roll and a short movable metal piece, loads can also be lifted easily. 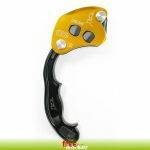 Information: The prototype of DMM and Treemagineers fits all Treemotion harnesses and should make climbing more comfortable. The built-in swivel can be locked in three planes with a single handle. 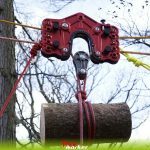 Information: The prototype of a roll – a mixture of rigging ring and block roll – was presented by FTC at Baumpflegetagen 2018. The role for highest performance is currently in the practical test phase. 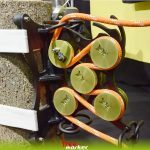 Information: Also at the Baumpflegetagen 2018 presented the prototype of another Hulk Lowering Device. Little is known so far, but instead of four, the prototype had eight sheaves.